In case you're out of the loop, Google has confirmed that "Hangouts classic," as it calls the consumer-facing version of the service, is set to die in the future, though the company adamantly defends that there are "no decisions made about when" it will be shut down. Sometime before that undefined date, current users will be transitioned to the corporate-focused Hangouts Chat and Meet services. Considering development for Allo was "paused" back in April in favor of RCS and Android Messages, it isn't surprising that Google has it on the shortlist for the next spring cleaning. Google's late coming, sticker-heavy, slightly ignorant approach to messaging is nearly meme-worthy — almost as much as the company's general failure to make an impact within that overall market segment. 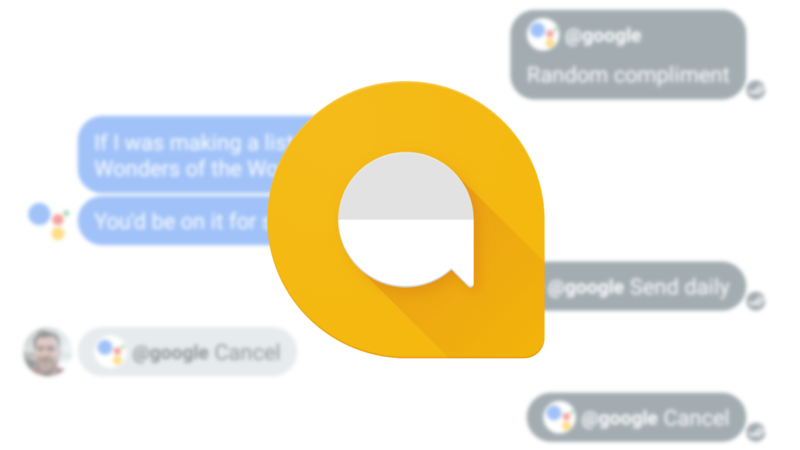 In many ways, it's surprising Allo stuck around as long as it did, given its clear failure. With how frequently Google is criticized for killing services, Allo's silent persistence could simply have been to ward off that opprobrium. Allo appears to be down right now. 9to5Google notes that this news comes in the midst of intermittent reports of numerous issues among Allo's remaining users. In fact, an outage seems to be ongoing at the time of publication. Given the app hasn't seen an update since January, it's almost surprising that it's continued working as well as it has. With RCS finally making headway, Google is all-in on Android Messages. Let's just hope we aren't repeating this headline for it in two more years.